Yesterday I did my first SF2G ride. The ride was good, but having woken up at 6:30, I was starting to feel very sleepy by 2:00PM. I wanted to ride to work again, but I wasn’t sure if I could get up. Considering how sleepy I was by the time I got home, sleeping early, and thus waking up early would not be too much of a problem. 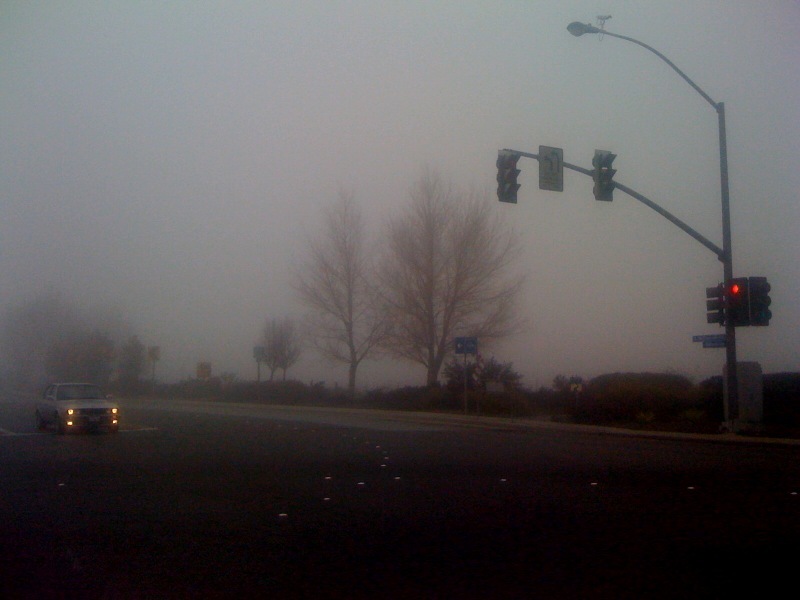 So I got up at 6:30 again to do the SF2G Bayway ride. I met a few more people: Eric with his power cranks; Mills? 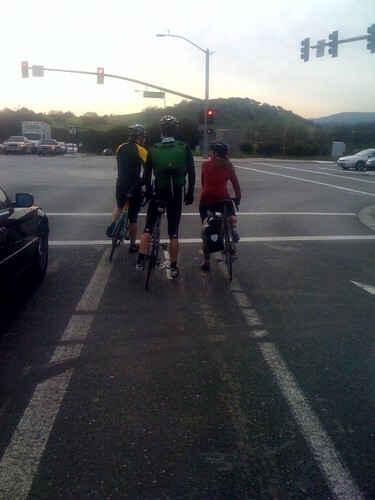 Nils?, who is from NY; Judd, who does not have rear fenders; Lebaron-like the car, who works in Redwood City and rides Cat 5 Men’s 45+, and the only other guy with downtube shifters, who was in a motorcycling accident, who works at Google, who has a pinkish saddle back and white Assos armwarmers, whose name I forgot. We took the normal Bayway route minus going on the bridge to nowhere. I rode the rain bike, but there were only a few small showers along the way. The EPA section was new to me because I usually turn right on Willow, and left on Middlefield to go completely around EPA. It wasn’t too bad, but I’m not sure I would do that section alone. Because the pace was social, almost recovery speed, it took about 2.5 hours to get from Millbrae to Ames, including about 15 minutes of getting confused by Steven’s Creek trail (as you can see on the map). I’m two rides into making this a habit and I hope I don’t spoil my sleeping schedule this weekend so I can continue the habit next week when the weather is even better. 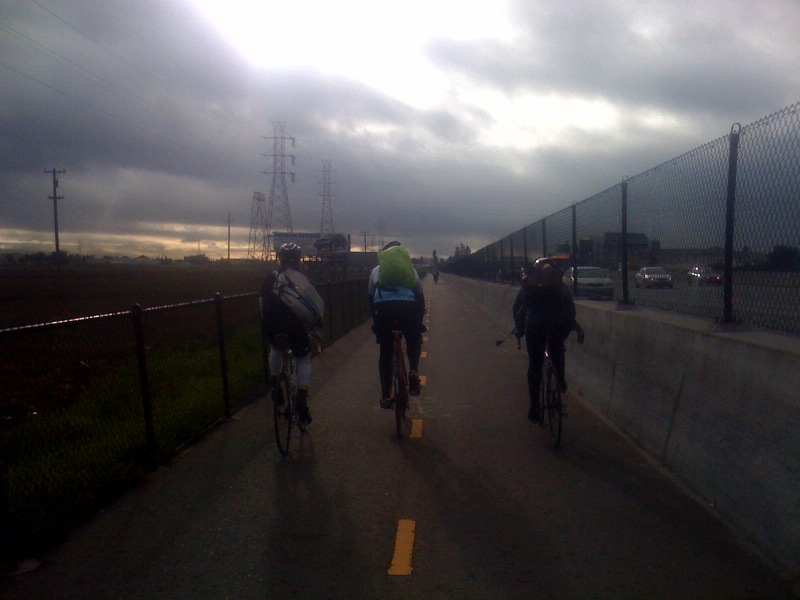 After seeing all sorts of Epic rides to work that people have done, I finally made a signifigant (yes, significant) effort to wakeup early and meet up with a SF2G group. 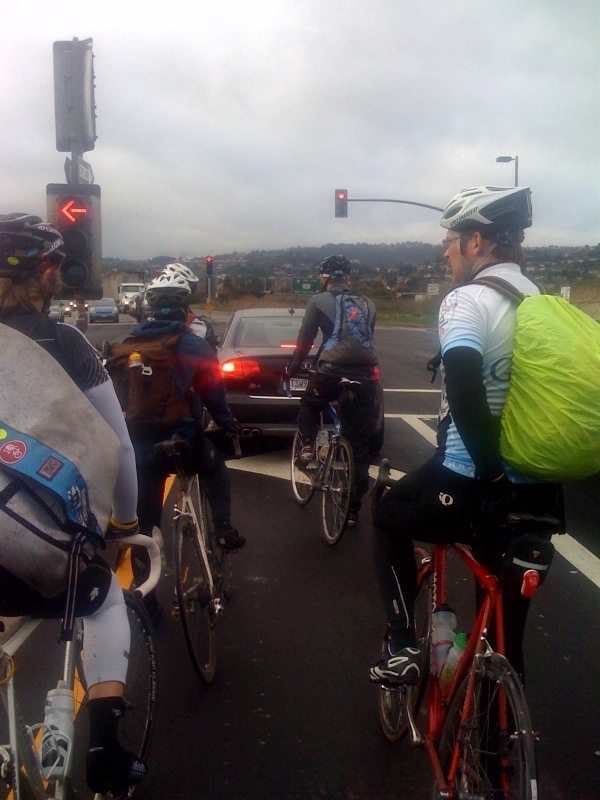 The SF2g ride was riding the Skyline Way and meeting up at 6:30 at Peets in SF. I could meet them at Skyline x Hillcrest, but I did not know how long it would take them to ride the 18 miles to get there. Erring on the early side, I arrived at 7:35. About 7 of them arrived at 8:00. The route was very familiar to me since I ride the reverse to get home very often. Overall, the pace was mellow, but at times: blasting through Sawyer Camp trail and Canada, the pace was high. The weather started off cold, but was nice after a decent warmup. I got into work around 10:00, the same time as I usually do when I take the train, and I don’t feel tired. Now, if only I can continue sleeping early and getting up early to ride to work! People who I met today: Jennifer, Yuko, Ted, Michael, Space. Four left when we got to Page Mill: Space, Michael, Jennifer, and me.